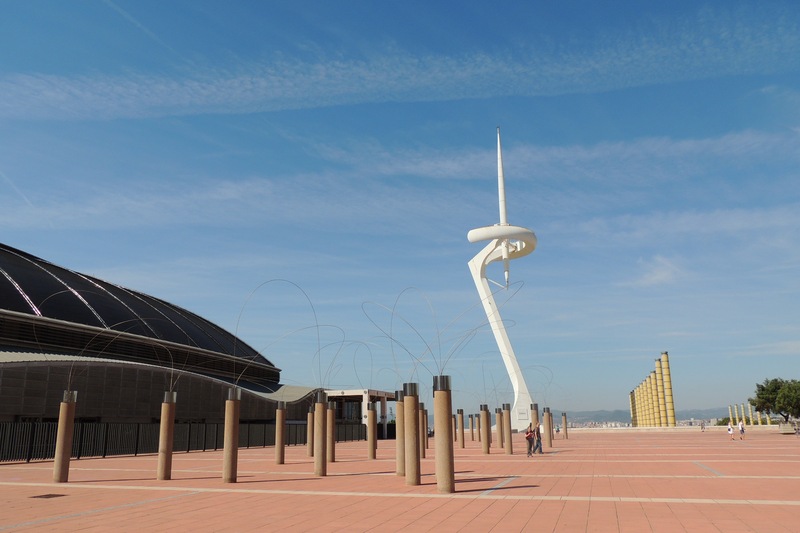 So on our second day in Barcelona, we took the red tour bus and went out for some sightseeing. 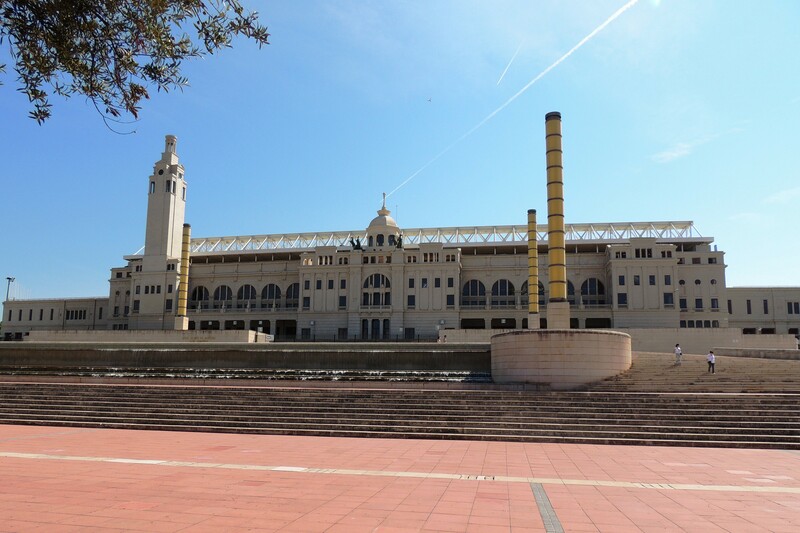 And this was our first stop that day: the olympic village/neighborhood of Barcelona. So this first picture shows the olympic torch monument. 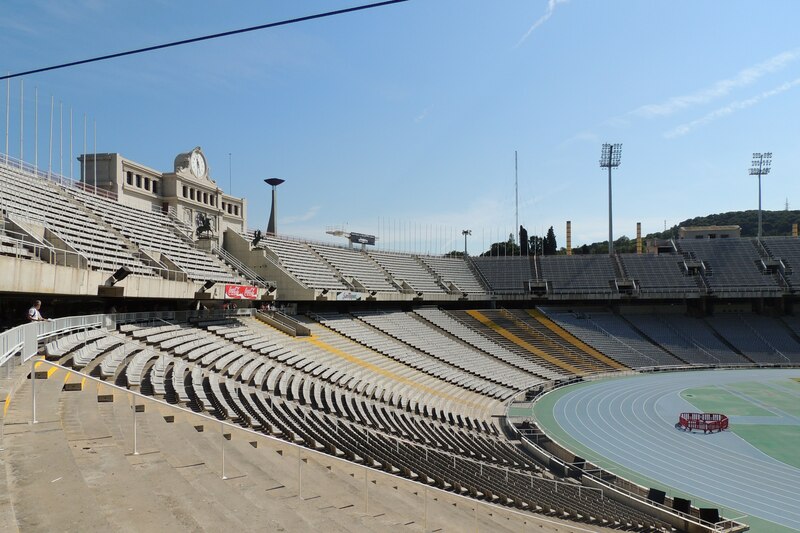 It seems quite futuristic to me, even though I know it was designed a decade ago for the 1992 Olympics. I actually think that it looks like a rocket ready to be launched (OK, I know I sound like a 3-year-old now, but it’s true!). These are the fountains of the Parc Olimpic. The water was a little dirty with all the algae and stuff, but still the fountains were working and it was beatiful anyway. Oh, and see how in all three pictures above the sky is blue, but appears to have a very thin layer of clouds in some spots? Well, for some reason — which I have been trying to figure out up until this very moment — there were lots of these white smoke trails in the sky, like from air demonstrations or something similar. They were all over the sky, all day long. And there weren’t any local military-themed holydays while we were staying there. There must be an air force training center near the city, I guess. 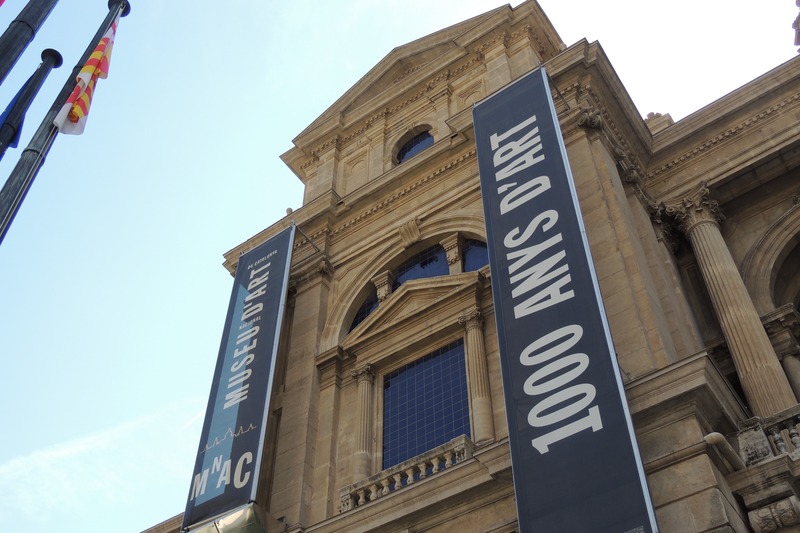 And this is the MNac — the National Museum of Catalonian Art. We didn’t go inside, because we had a long day ahead of us and lots of other places to visit and all that, but we did stop by to take a few pictures — like virtually every other building in Barcelona, the MNac’s is a work of art itself — and also to enjoy the sight, since the museum is on the top of the most famous hill of all Barcelona — the Montjuïc — and from up there you can have a great view of the city.